This week I have a finish to claim. My May UFO, Scrappy Trip Around the World is complete! This is a free pattern from Bonnie Hunter and can be found on her website here. 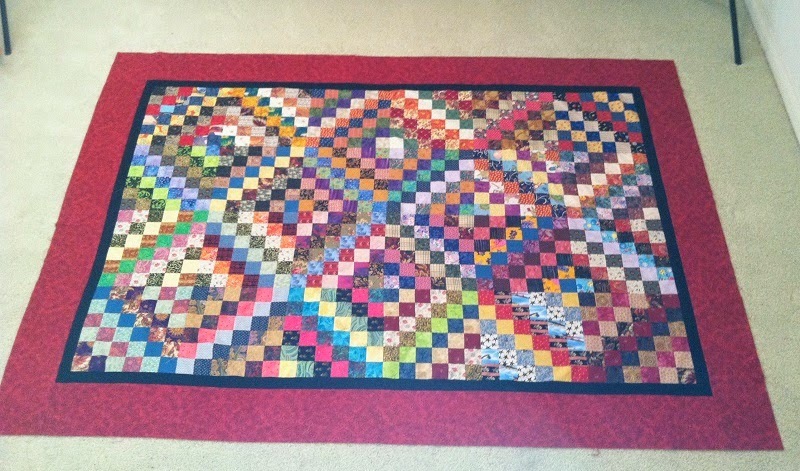 Now on to finishing the Turkey Quilt and another finish for this week! Stayed out of the Quilt Shops this week, so nothing to add, and I am now in the black for the year! Used this week: 9.5 yards. Purchased Year to date: 54.0 yards. This week I am working on my UFO for the month #9 Scrappy trip around the world. This was started in a workshop with Bonnie Hunter about two years ago. It is going to become our car quilt. 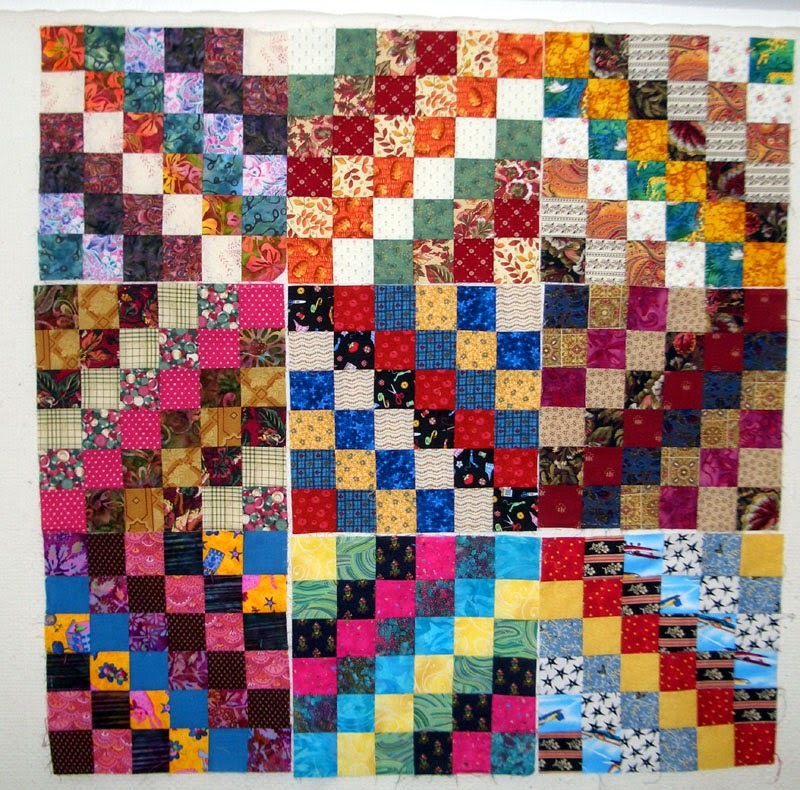 I have 9 blocks completed and will make 21 more. After this is completed, I will be back to finishing Talkin Turkey. 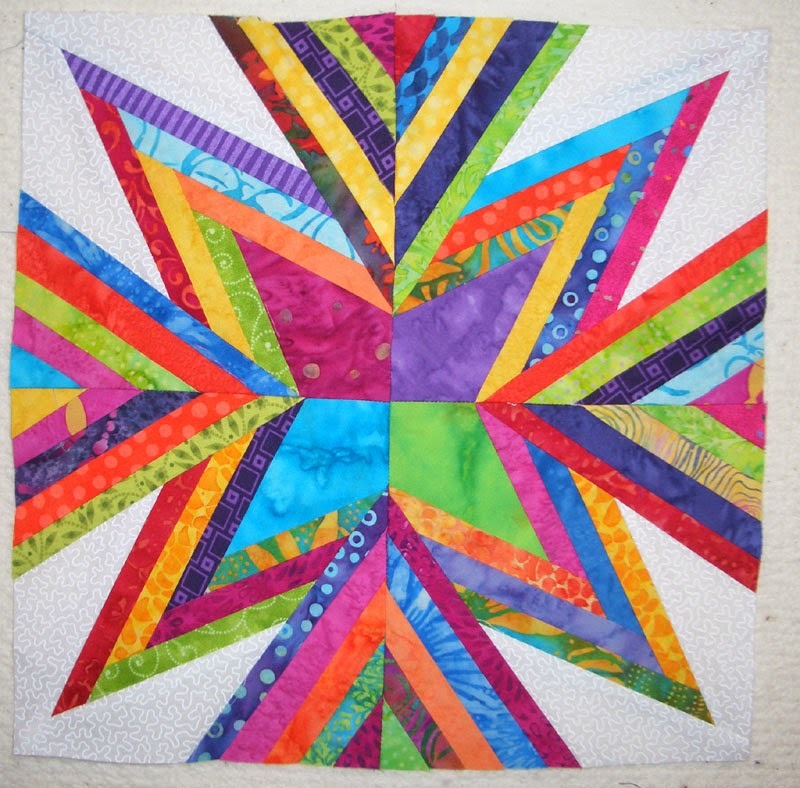 I also completed this paper pieced block for our Block of the Month at Sunshine Quilt Guild. It was completed just in time as our meeting will be tomorrow night. Hope I win these blocks! Our road trip to Asilomar last week, brought a couple of stops in a few Quilt shops along the way. So this week I only have additions, no finishes but coming close with Talkin Turkey. The first stop was Cotton and Chocolate Quilt Company in Thousand Oaks. 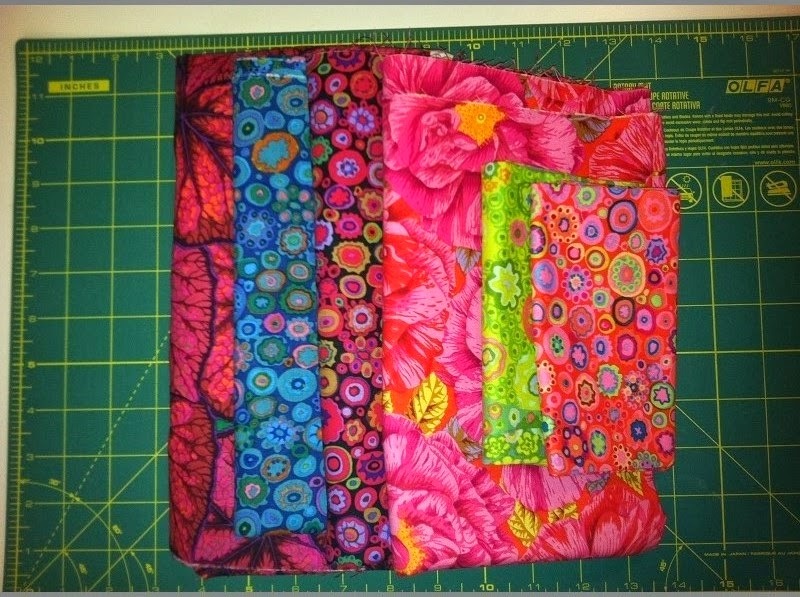 This shop has a wide variety of fabrics and DH picked out these Kaffe Fassett fabrics that he loved. Our next stop was in Pismo Beach at Quilt'n Cousins. Here I picked up the Button Fabric. 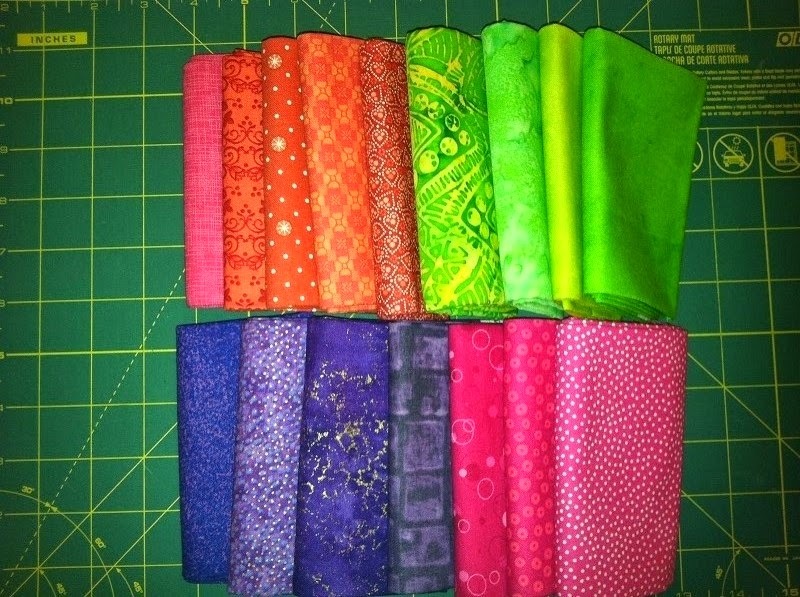 The rest of the sewing fabrics were purchased at Back Porch Fabrics in Pacific Grove. These will be used in a future Bonnie Hunter project. These Fabrics were picked up at Asilomar from The Cotton Patch. It is located in Lafayette CA, but is on campus for the Empty Spools Seminars. 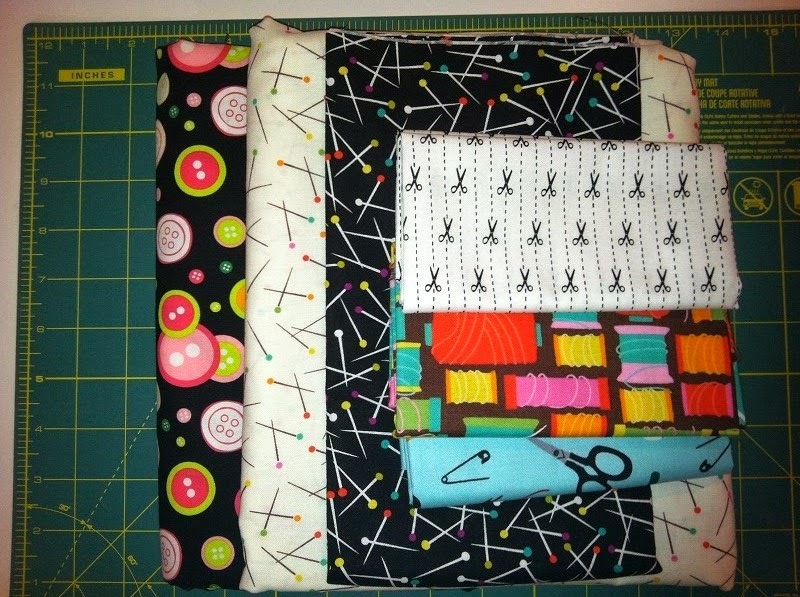 These will also be used in a Bonnie Hunter project called Lazy Sunday from her new book. So my adds for the week ended up to be 20.25 yards and has now put me in the red. Time to get busy and use it up! Hope you had a better week than I did using up the stash. Check out how everyone else is doing at Patchwork Times. Purchased this week: 20.25 yards.